2. 50% deposit to confirm your booking. 3. 50% 6 weeks prior to your visit. 4. Provided there have been no misses during the hunting period any animal not culled will be refunded at 70%. 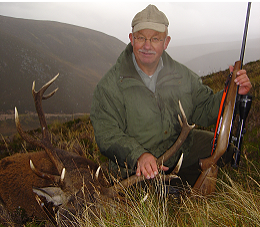 If the hunting is cancelled by the client and we are able to re-let the booking a refund of 60% will be made. If due to the lateness of the cancellation and re-letting is not an option the client is liable for the full cost. 5. 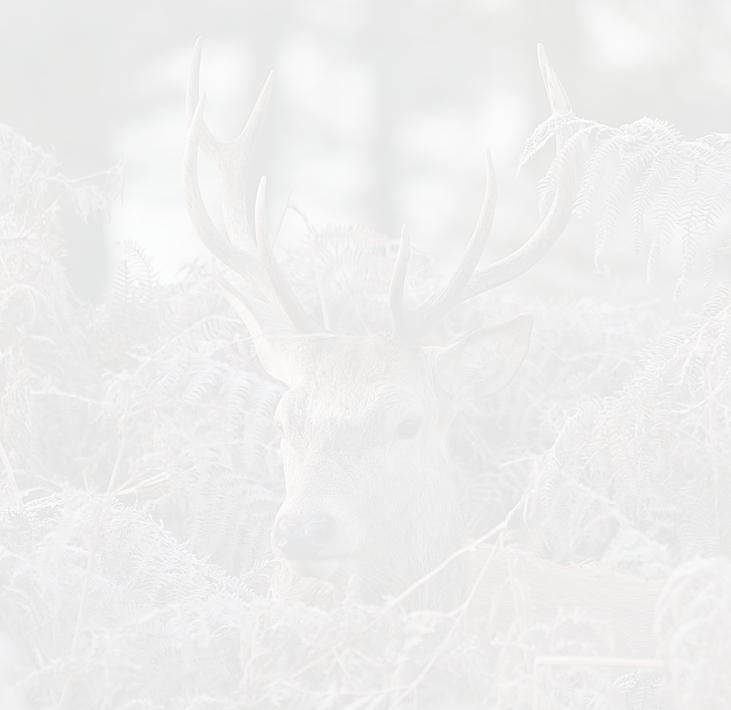 Wounded or lost animals must be paid for in full plus the loss of meat revenue as assessed by the stalker. 6. Mr Christie reserves the right to move clients from one estate to another if he feels they are not receiving the desired experience due to bad weather. 7. All sportsmen must have personal liability insurance cover indemnifying them against any accidents that may occur as a result of their actions. The minimum amount of cover should be no less than £5,000,000.00 for any one claim. 8. All instructions and decisions given by stalkers and keepers are final. Failure to comply with such instructions or decisions may result in the cancellation of the booking with no right to a refund or compensation. 9. 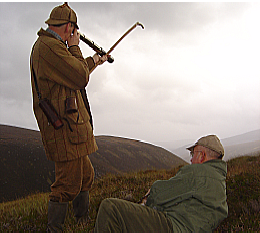 All sportsmen will be required to hold an appropriate license for the legal use of sporting weapons. 10. All hunters will be required to make 2 successful test shots at a target. If the hunter misses he will be unable to hunt until he has satisfactorily hit the target. 11. Mr Christie reserves the right to cancel any hunting with a full refund given for all sporting costs. 4. If the hunting is cancelled by the client and we are able to re-let the booking a refund minus an administration fee of 30% will be made. If due to the lateness of the cancellation and re-letting is not possible the client is liable for the full costs. 5. Mr Christie reserves the right to move clients from one estate to another if he feels they are not receiving the desired experience due to bad weather. 6. All sportsmen must have personal liability insurance cover indemnifying them against any accidents that may occur as a result of their actions. The minimum amount of cover should be no less than £5,000,000.00 for any one claim. 7. All instructions and decisions given by stalkers and keepers are final. Failure to comply with such instructions or decisions may result in the cancellation of the booking with no right to a refund or compensation. 10. Mr Christie reserves the right to cancel any hunting with a full refund given for all sporting costs.